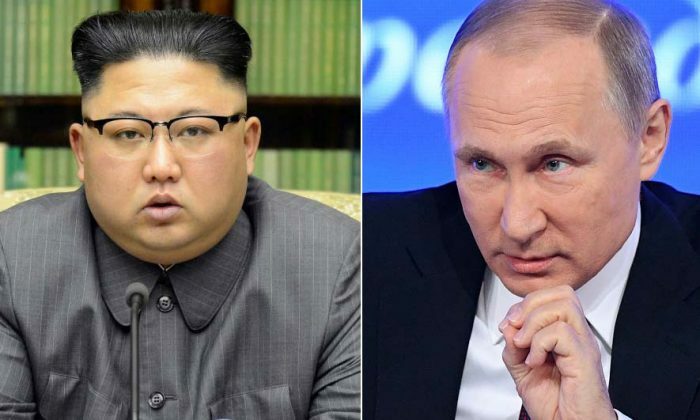 MOSCOW—Moscow is prepared to work with Pyongyang to try to find a peaceful resolution to the North Korean missile crisis, the Russian Foreign Ministry said on Friday. The comments came in a statement issued by the ministry after a meeting between Russian ambassador-at-large Oleg Burmistrov and Choe Son-hui, director-general of the North American department of North Korea‘s foreign ministry. The North Korean delegation arrived at the Russian foreign ministry venue in Moscow on Friday for talks on the nuclear crisis. Choe also met with Russian Deputy Foreign Minister Igor Morgulov, the ministry said. “The Russian side confirmed its readiness to combine efforts in the interests of finding ways to solve the problems in the region by peaceful, political and diplomatic means,” it said. Privately, however, U.S. officials have played down the likely effect of the Russian effort. Recent days have seen exchanges of heated rhetoric and threats between U.S. President Donald Trump’s administration and North Korea over the latter’s bid to develop nuclear-tipped missiles capable of hitting the United States. Attending the U.N. General Assembly in New York last week, Russian Foreign Minister Sergei Lavrov pushed a proposal by Moscow and Beijing for a dual suspension of North Korean weapons tests and the U.S.-South Korean military drills to kick-start negotiations.